The Irish shipping industry has seen a marked increase in business as companies bypass British ports amid Brexit fears, the head of Dublin Port has said. Britain is facing a shortage of baristas as the fast-growing coffee market outpaces the rate of new hires, research has suggested. UK economic growth is expected to have slowed in the final quarter of last year but economists warned against viewing the data as a sign the UK is headed for recession. The Bafta awards celebrate the most talented directors, performers, and films from around the world… but the awards wouldn’t be the same without paying homage to the best of Britain. The UK is living through an “awful” period and Brexit could put “great strain” on the country, according to historian Sir Simon Schama. Sinn Fein president Mary Lou McDonald has said that the unionist community needs to be a part of planning for a united Ireland. As the UK remained gripped by Brexit chaos, American model and author Chrissy Teigen conveyed the thoughts of many Brits as she admitted that, try as she might, she doesn’t understand it all. 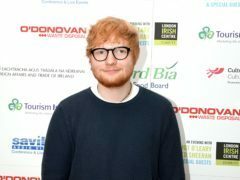 Ed Sheeran and Rag’n’Bone Man helped power British-recorded music exports to their highest levels since the turn of the century, the record labels’ association has said. It could be good night for the well-fired morning roll because of new legislation from the European Union. Here's a round up of Britain's top 10 house spiders to look out for. Britain’s mini-heatwave is set to continue with a day of tropical temperatures ahead of a night of torrential thunderstorms expected to bring nearly a month’s worth of rain. Despite a quiet start, Dundee folk flocked to polling spots to vote in the historic European referendum vote throughout the day. A German tabloid has made a big offer to British voters in the EU referendum: stay in the EU and we will reserve a sun-lounger for you with their beach towels. British travellers could be caught out by new rules which govern the type of passport needed for entry to the US.